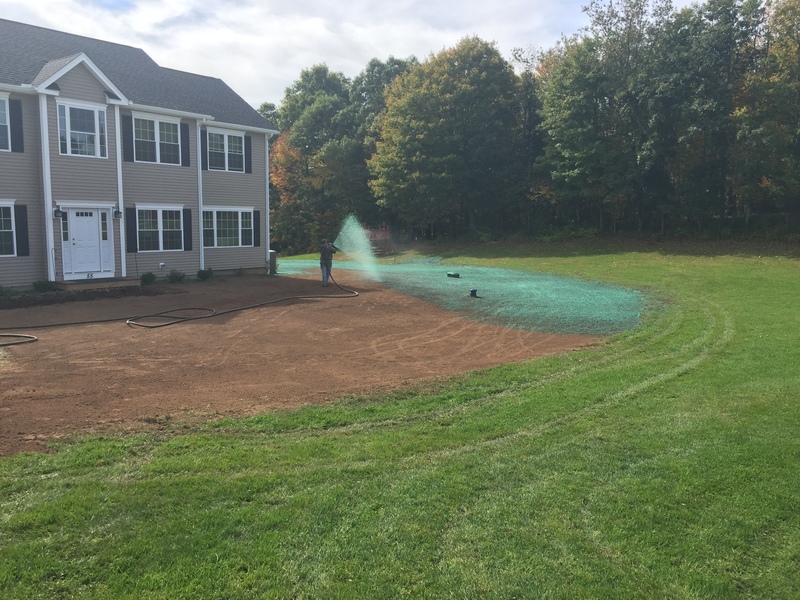 A popular means of planting grass due to its relative ease of use and effectiveness. Hydro seeding is a process by which seed, water, fertilizer, fiber mulch, and sometimes lime are blended together in a tank and applied onto a prepared lawn area through a spraying hose. 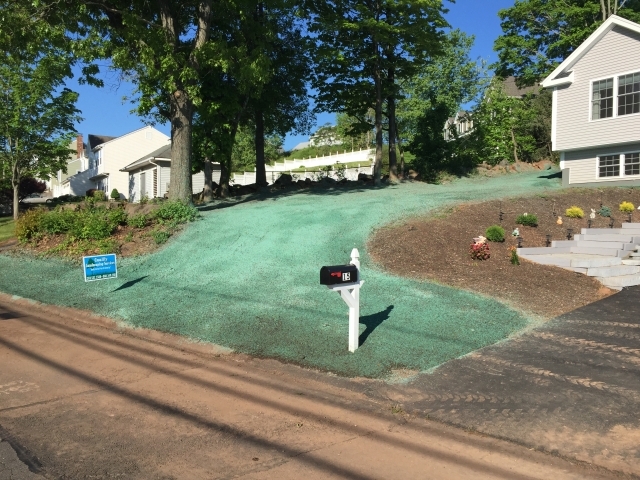 Once sprayed, the wet fiber mulch will help create a bond to the soil and provide the seeds with a water retaining blanketing-coat while protecting it from sunlight, wind, and erosion. 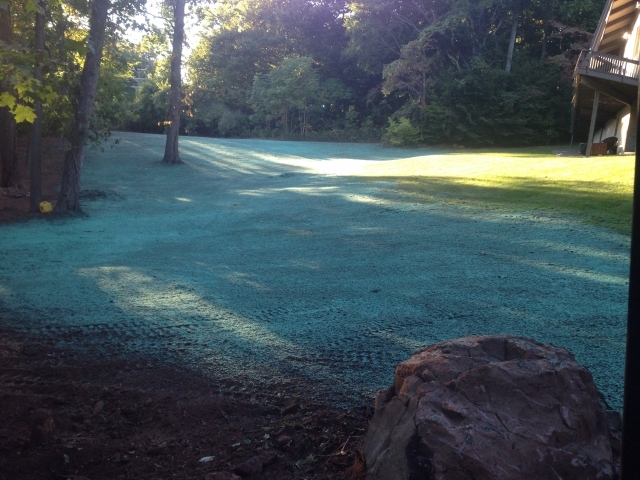 As the grass seeds begin to germinate, the fiber mulch will slowly decompose adding nutrients to the soil. 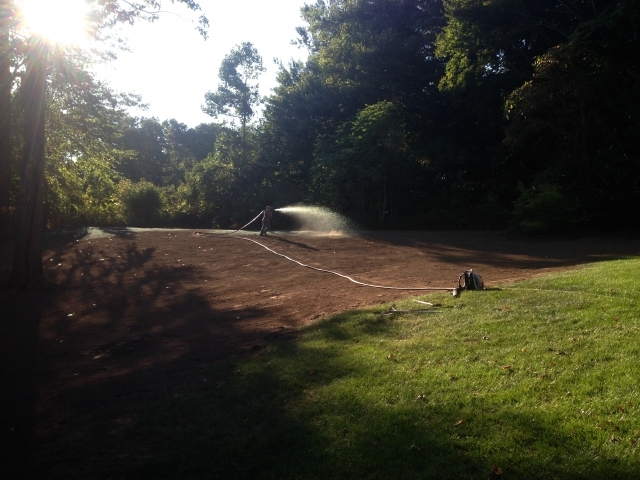 Germination is within 5-7 days.